So we had an awesome run this weekend at Comic Con, and we hope you did too?! Hello all! And welcome to our gaming eden! As you all should know, we have been working very hard and retailing at our Go2Games store at MCM Comic Con London 2015! We’ve seen many faces and characters grace our photo booth within the weekend, so watch this space for the most amazing show unearthed. We are Go2Games, and our aim is to make you love the game even more! 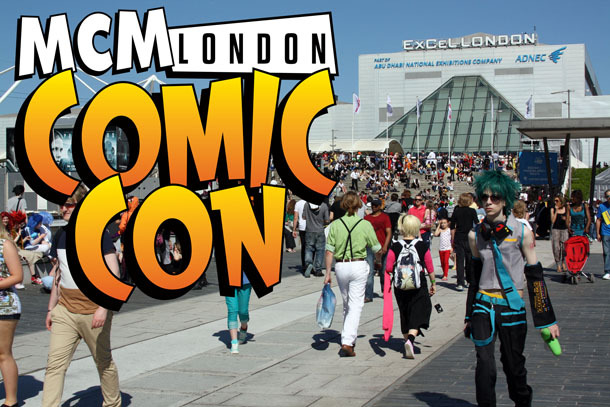 This weekend just gone, we’ve been moseying about at MCM Comic Con London, but that’s just the start! We’ve been selling mass amounts of awesome products, from control grips to Transformers lights and Pac-Man bottle openers! We had an absolutely fantastic time and we hope you did too?! We also ran a competition to win a PS4/Xbox One, if you managed to grab a wrist band from our stand and take a photo of yourself with it! If you did so, then don’t forget to send the photos back to us on our social media channels to be in with a chance of winning! Our photo booth was also a huge hit! We had cosplayers queuing up to have their photograph taken by our media team and boy are the shots amazing!! They’ll be popped up throughout this week, so don’t forget to keep an eye open for them and tag yourself if you recognise yourself, or a friend! They’ll be up on our social media channels. Costumes were incredible, the dealer stalls were amazing, and so were all the talented artists in Comic Village! We were lucky enough to interview a few ahead of the show, one being Simeon (Metal Made Flesh). He came over to our stand to greet us and very kindly gave us one of his artbooks!! We were ecstatic to receive his gift, as Simeon’s artwork is out of this world, literally.. A Cyberpunk Extraordinaire! What more can we say, except that we had an incredibly successful event ourselves and that the whole atmosphere and event was one to be marvelled at and remembered for years to come. Thank you to everyone who made it such a success and we’ll hopefully be seeing you all for the next one! Don’t forget to keep in touch and, always, GET2GAMING! Hi there Paul, The photos are now up! If you'd like to visit our blog homepage, get2gaming.com, we've posted photos up in there in our most recent blog post. There is also a link within the post for you to see the rest of them as there are so many! They've all been posted in 4 separate albums. I hope that this is of some help and do let us know what you think of them!